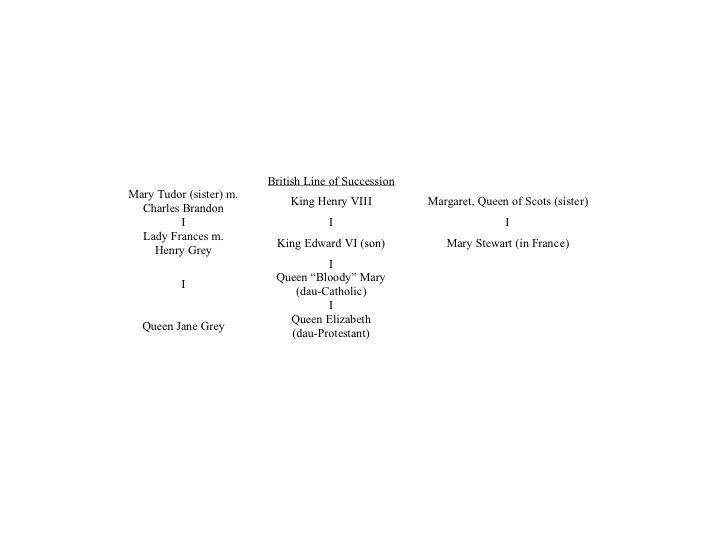 According to WWW.ENGLISHHISTORY.NET, “The Greys had long been the noblest family in the realm of England, united by ties of friendship and blood to the Tudor monarchs.” We learned in the Introduction to the E-Gen: Gray articles, and especially in “Some Speculation on Gray Family History,” that no matter how our surname is spelled, we are probably all related through our origins in Croy, the small town in Normandy, Northern France. Even more impressive is our connection to William the Conqueror and his victory in the Battle of Hastings (1066 AD) to gain the crown of England. What you’re about to read, however, is the tragic story of arguably our most famous cousin, Lady Jane Grey, who became Queen of England for just nine days through the will (1547) of her great uncle, King Henry VIII. She met a tragic end, as we shall see, but showed great courage and dignity, characteristics still cherished in our clan. In the coming pages we’ll see her genealogical link to other Greys and to the Royal bloodline, then we’ll follow her to the Tower of London and to the chopping block and hear her final communications with her sister Catherine and others. I will tell you a truth, which perchance ye will marvel at. One of the greatest benefits that God ever gave me is that he sent me so sharp and severe parents and so gentle a schoolmaster. For when I am in the presence of Father and Mother, whether I speak, keep silence, sit, stand or go, eat, drink, be merry or sad, be sewing, playing, dancing, or doing anything else, I must do it as it were in such weight, measure and number, even so perfectly as God made the world; or else I am so sharply taunted, so cruelly threatened, yea presently sometimes with pinches, nips and bobs and other ways (which I will not name for the honor I bear them), so without measure misordered, that I think myself in hell, till time comes that I must go to Mr. Aylmer [another tutor], with such fair allurements for learning, that I think all the time nothing while I am with him. And when I am called from him, I fall weeping because whatsoever I do else but learning is full of grief, trouble, fear and wholly misliking to me. At age 10 Lady Jane was sent to the estate of Katharine Parr, Henry VIII’s sixth and last wife, in the suburbs of London. She was a kind stepmother to all of the late King Henry’s children. 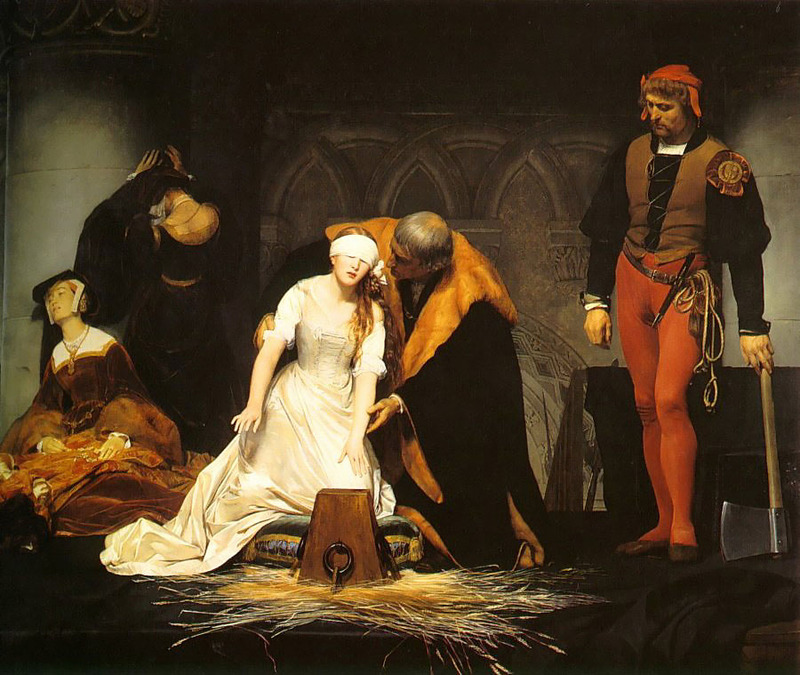 One source says that Lady Jane was sent there “to acquire polish and learn social grace, a common practice for daughters of the nobility.” This source believes that “for the first time in her young life, she was truly happy” (“Lady Jane Grey” 6). Katherine was a strict Protestant, and Jane quickly learned the tenets of her caretaker’s faith. Problems arose when Katherine’s new husband, Thomas Seymour, constantly flirted with the young women in her charge. Thomas even had a representative approach Jane’s father to obtain wardship and marriage rights for her. Though the deal was word of mouth and Seymour’s council denied that there was anything explicitly agreed upon, Henry sold his daughter’s future to Seymour for 2,000 pounds, payable in installments, claiming that King Edward would be given Jane’s hand. Within two years unimaginable change came to the Greys and Seymours, beginning with the death of Katharine from an illness related to childbirth. Young Jane was devastated. Thomas was able convince her parents that it was safe to allow Jane to stay at his estate because his mother would be taking over for Katharine, but other politics intervened and before long, Thomas was put to death by Edward for rumors that he would marry young Princess Elizabeth, one of Henry’s children, and try to take over the throne. After six weeks living in the estate of Guilford’s parents, Jane chose “the lesser of two evils” and moved back with her parents. After all, she had become ill within several days of the wedding and accused the Dudley’s of poisoning her. Many think she was suffering from a nervous breakdown and hysteria. At a get together of the two families, when faced with the realization that she was fourth in line for the throne, she claimed that she was “insufficient” for the job. The Lords in attendance worried about her attitude while Jane prayed that if it was God’s will that she be queen, then she would trust in God to help her govern England for His glory (“Lady Jane Grey” 16). She was known for her freckles, white teeth and radiant smile. Her gown was green velvet, which made her red hair that much more striking. The tall, blonde Guilford wore white and silver velvet, so the couple must have been stunning. Once inside the Tower, her mood must have changed, whether from immaturity, exhaustion, or righteous determination. When the Lord Treasurer brought her the crown for a fitting, she refused to try it on. Her thinking, according to WWW.ENGLISHHISTORY.NET was: “If she put it on, there was no turning back. This was how she viewed it. So she hesitated, would not take it from [Lord Treasurer].” He again asked her to take it, saying that another would be made for her husband King. According to this source, “It was then Jane realized the extent of Dudley’s duplicity.” She believed it was him who had manipulated Edward to change the line of succession so that his son could be King. The source continues: “She was outraged and angry. 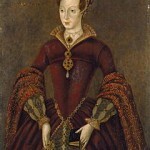 Jane was a Tudor herself, as proud of her royal background as she had a right to be. The Dudleys, that arrogant, pretentious family, had no right to exploit her. She told those assembled that she would gladly make Guilford a duke, but he would never be king” (18). While Guilford, his mother, and Jane apparently exchanged words and gave orders back and forth behind closed doors, the Sheriff of London announced the name of the new monarch to the crowd. His words were met with stunned silence. While they had nothing against the young queen, they probably thought that Mary, King Edward’s sister, had more right to the throne, despite her age and religion. What she didn’t do was make any political statements or act like a monarch in any way. Instead, Dudley did all the talking for her. Meanwhile, Mary went into hiding as Dudley’s forces attempted to arrest her. Her sister Elizabeth just kept quiet, watching and waiting. Dudley raised an army in case Mary tried to return by force and take the crown. He put Jane’s father in charge. Jane immediately and in tears objected. She, in perhaps her first and only military order strongly suggested that Dudley head the force himself. One by one the counties, first Buckinghamshire, then Norwich, declared Mary as the rightful queen. Some of Dudley’s ships and men deserted the cause, and soon England was divided. Just eight days after the announcement of Jane’s coronation, most of her council secretly agreed to support Mary. The next day, they proclaimed her Queen of England. Jane’s father was the one who came to her at supper to report that she had been deposed. Before leaving, he too pledged his allegiance to Mary, and before long Jane was taken prisoner in the Tower. As Mary rode triumphantly to London, Jane’s money was confiscated and she was accused of stealing from the royal wardrobe. Dudley and his entire family was arrested and taken to the Tower in disgrace. Mary eventually released Dudley’s wife and Jane’s father, but Guilford and Dudley remained. Today, Jane Grey is considered a Protestant martyr. Who knows if she, as Queen, would have persecuted Catholics as Mary did Protestants (thus, the moniker “Bloody Mary). But, WWW.ENGLISHHISTORY.NET insists that Jane was not killed for her religious convictions but rather out of “political necessity” (23). Our source says that Jane wrote a personal letter to Mary admitting that she was wrong for accepting the crown. She had simply relied on the advice of others. In citing the Queen’s “goodness and clemency,” Jane apologizing says, “I might have taken upon me that of which I was not worthy, yet no one can ever say either that I sought it or that I was pleased with it.” In the end, Mary accepted Jane’s words, but considered her a heretic. Dudley was executed before a great crowd on August 22 despite his conversion to Catholicism while in the Tower. Jane was treated with respect and kindness throughout her imprisonment. She maintained a staff of four and was given an allowance. She spent most of her time reading and studying. Much of her writing and comments have been preserved, including her hatred of Dudley and revulsion of Catholicism. As Mary prepared for her coronation and Jane remained in prison, many Englishmen realized that Mary wanted to marry her long-time friend, a Spaniard. Because she was past childbearing age, it was likely that her husband would succeed her, leaving England in the hands of a foreigner. Eventually, Mary got around to ordering a trial for Jane and the remaining Dudleys. As custom dictated, all were led from the Tower by an executioner with an ax. Jane was dressed all in black, carrying an open prayer book, as she followed Guilford. All pled guilty to treason and were led back to the Tower, this time with the executioner’s blade turned towards them, a sign to the crowd of their condemnation. Jane’s father was given a general pardon but was forced to pay a 20,000 pound fine. He and Frances left the Reformed church and most truly believed Jane too would be released, and indeed Mary had temporarily suspended her execution. But, a combination of factors overturned Mary’s decision. France was furious over her plans to wed a Spaniard. She had been raised there. Charles used his influence against Mary and started rumors with all who would listen. Henry Grey planned a revolt, arguably to restore his daughter to the throne. Despite the riots, Mary refused to turn the arms of the guard against the people. She knew, however, that Jane had to be removed permanently from the picture and so, in early 1554, after one final attempt to have her converted to Catholicism, ordered her killed. 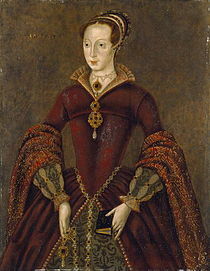 The Internet article, “Lady Jane Grey” describes Jane’s final days: “She chose her dress, composed her speech, and appointed the two members of her household who would accompany her and dispose of her body” (31). Jane sent letters to her sister Catherine and her father Henry. She apparently had no contact with her mother nor her husband, though she witnessed his execution. As his bloody body lay in straw on a cart with head beside wrapped in cloth, she was heard to comment on “the bitterness of death.” In the end, she believed he was as much a victim as she. I have sent you, good sister Catherine, a book, which although it be not outwardly trimmed with gold, yet inwardly it is more worthy than precious stones. It is the book, dear sister, of the laws of the Lord: It is His Testament and Last Will, which he bequeathed unto us wretches, which shall lead you to the path of eternal joy, and if you, with good mind read it, and with an earnest desire, follow it, it shall bring you to an immortal and everlasting life. It will teach you to live and learn to die. It shall win you more than you should have gained by the possession of your woeful father’s lands, for as God prospered him, you shall inherit his lands. [It holds] such riches as neither the covetous shall withdraw from you, neither the thief shall steal, neither let the moth corrupt. And as touching my death, rejoice as I do and consider that I shall be delivered of this corruption and put on incorruption, for as I am assured that I shall for losing of a mortal life, find an immortal felicity. Pray God grant you and send you his grace to live in the love. I do wash my hands in innocency, before God and the face of you, good Christian people this day. And now, good people, while I am alive, I pray you to assist me with your prayers. The awful act was completed at last, and as also was the custom, the executioner lifted her head by thee hair and said, “So perish all the Queen’s enemies. 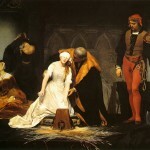 Behold, the head of a traitor.” After a period of four hours, while her attendants guarded the head and body atop the straw-covered cart, not permitted to cover it, and while Feckenham obtained permission from the court, Jane Grey was buried at St. Peterad-Vincula between two other headless queens: Anne Boleyn and Catherine Howard. Queen Mary, despite her actions and historical reputation, was relatively kind to the remaining Grey family. Perhaps it was her forthcoming wedding. Perhaps it was Frances Gray’s thoughtfulness to her step-mother, Jane’s tutor Katherine. Maybe it was a combination, including wanting to put the past behind and preserve what was left of her family (“Lady Catherine Grey” 2). She allowed Catherine, age 14, and younger sister Mary, now 11, to remain at court, even appointing them as Maids of Honor at her wedding that year. In distancing himself from the Greys, Catherine’s husband had had their marriage annulled and threw her out of the house. Mother Frances remarried in less than month after Henry was executed, this time to a man 15 years younger than she. Eventually both Catherine and sister Mary married and produced children in stories that include secret ceremonies, clandestine meetings, and unfortunately untimely deaths. By this time, Queen Mary Tudor had died and her sister Elizabeth was on the throne. She served 45 years. Scholars believe that she favored the Scottish Stewarts over the Greys. We can’t say that we blame her, after all the confusion in the kingdom. Catherine’s grandson, William Seymour, secretly married a royal Stewart, so the tradition continued. One of our modern Grays might argue that this is all so far removed, but I counter that hearing and understanding the life and legacy of Lady and Queen Jane Grey is a good lesion in moral character and the history of our British culture. I hope you agree and will take the time to read more. Trevelyan, George Macaulay. History of England. New York: Longmans, Green and Co, 1927.